Thank you for focusing on our signature school magazines. 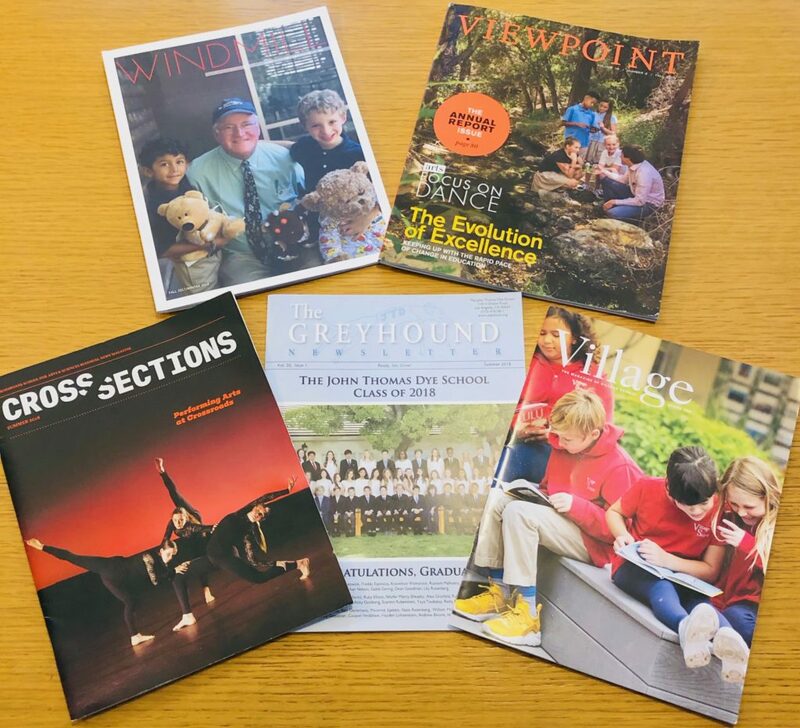 A tremendous amount of editorial thought goes into each publication, and if done right, reading them should feel like walking through the school’s hallways. Hi Janet, I agree! Wildwood’s magazine is beautiful and a reflection of the school. I also appreciate that you have it available online. Glad to see you liked JTD’s parent/student match game spread! It was fun to put together. Our magazine will be available online soon, too.